With the US and European economies still adjusting to the recent drop in domestic property values, experts are already wondering if a similar scenario is due to hit Singapore in the next couple years. The ramped-up release of 25,000 units of public housing in 2012, a further 20,000 units already planned for 2013, combined with the 25,000+ units already released in 2011, have industry insiders predicting a looming housing oversupply. 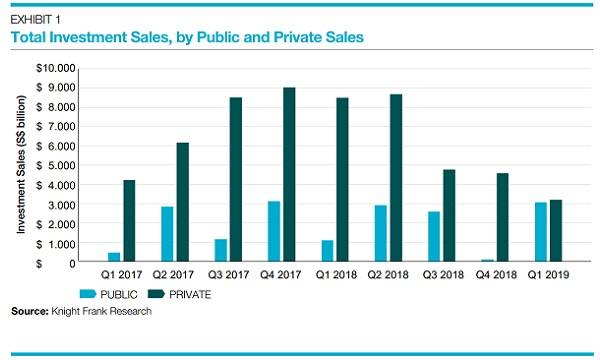 These figures don’t take into account the existing stock of private housing yet to be built and sold which will likely result in a total of almost 53,000 new private homes hitting the market in the next few years. However, predictions of an oversupply situation don’t take into account the current 50,000 deficit in housing units, leading me to conclude that the short-term reality is that the undersupply situation will likely take several years to clear. Should the 50,000 units of public housing indeed prove to be more than the market can absorb in the long-term, the government has a variety of tools in its arsenal. These could include relaxing regulations surrounding the purchase of HDB flats, such as allowing a large family to own more than one flat or even allowing unmarried Singapore citizens to purchase new flats over the age of 35. HDB also has the flexibility to tweak the MOP (minimum occupancy period), a regulation which prohibits the sale of a HDB flat until the owner has lived in it for a certain number of years. The MOP, previous at 3 years, has since been extended to 5 years, and is a powerful tool which can effectively prevent a sudden oversupply of flats reaching the market upon completion. Should oversupply and falling prices again become a concern, the government could act quickly to extend the MOP further to 7 years, hence limiting the housing supply on the open market. One only has to take a look back at the recent past to understand how decisively the government has acted to regulate housing oversupply. The BTO (Build-To-Order) program implemented in 2001 ensured that flats would not be built in anticipation of future demand, but only when they are booked by buyers, quickly resolving oversupply in a few years. While the long-term impact of the volume of new private homes set to hit the market by 2014 is still likely to put a damper on price growth, the Singapore government is able to step in quickly to tweak restrictions surrounding the financing of property purchases, which currently stands at a maximum of 80% for a first mortgage and 60% for the second, reduced from the previous 90% and 80% respectively. Easier access to funding will boost demand for second home purchases, given the hearty appetite of Singaporeans for investing in real estate. Ultimately, the long and short-term impact is highly dependent not only on external economic conditions and increased housing supply, but very much on the level of government response to both domestic and international macroeconomic conditions, as proven by their close monitoring and swift reaction to changing market conditions.